A perennial growing to 1.5m, with lance-shaped leaves and green flowers with yellow stamens in axillary cymes. We offer our clients a wide range of Nettle Leaves which is a herb including rich vitamin A & C. Further, it also offers an excellent source of iron as well as calcium. 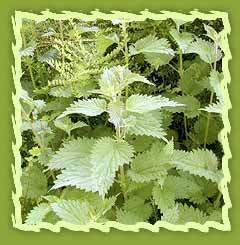 Nettles leaf powder is a valuable herb and has a number of uses especially this is useful in hair care products. Apart from this, it can also be used in soap or to make either tincture or extract. Packaging Type: Aluminium foil packing and the packet again placed in plastic box. Botanical name is Utrica Dioca.Nettle Leaf has small, hollow stinging hairs on its leaves and stems.Stinging nettle is being used in various health problems from ages due its health benefits. Hygrophila sp. Quadrivalvis "Needle Leaf"
Scorpion grass nettle in English (Nettle) is called. Its botanical name ALtiKa Daioka (Urtica dioica) is. Kumaoni Sisun it says.